"In this game you are knight trying to become rich and famous by conquering procedurally generated cursed castle." Small game on small screen! Why? 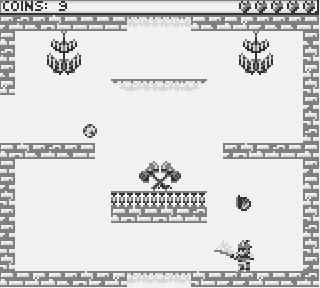 Because this is my #GBJam entry! 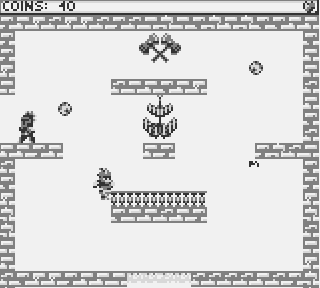 GBJam (www.gbjam.net) is "a video game development JAM that developers will spend a week and develop a game based around the theme of GameBoy". Why everything is gray? Because we were obligated to use only 4 colours. Isn't that great? 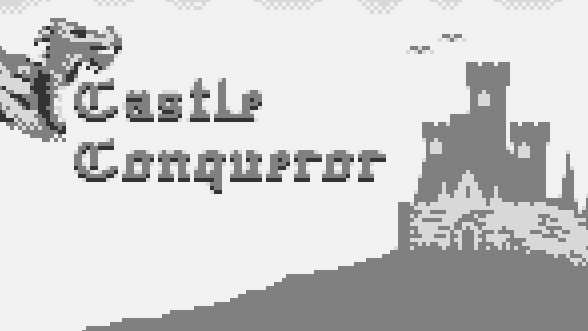 In Castle Conqueror your goal is to kill as many enemies as you can and collect as many silver monets as you can hold! Don't worry about clearing whole castle. You wont do this! Instead try to not die to quick, and climb to top of highscore!